The Houston community is working tirelessly to provide over 27,500 home libraries to children in need this year alone. By helping us, you will directly change the lives of children throughout our great city. 1 in 4 Houston students do not meet minimum academic standards at Grade 3. Through your generosity, My Home Library will turn-the-tide and make book ownership and literacy a reality for all Houston’s aspiring young readers. Meet Joshua, a 5th grader at Gallegos Elementary School. Joshua’s favorite book genre is action/adventure, especially the “Percy Jackson” series. He likes to read books that follow the hero’s journey, in which the hero must overcome a difficult situation. My Home Library has peaked Joshua’s interest with titles such as “I Survived the Nazi Invasion, 1944” and “Dog Man”. Meet Joe, a 5th grader at Gallegos Elementary. Joe likes reading books that help him learn, especially books about different countries in the world and books about the table of elements. His favorite book is “Echo” by Pam Munoz Ryan. While Joe still enjoys going to the library and checking out books, he is excited that My Home Library lets him get books to keep. Meet Ixzel, a 5th grader at Gallegos Elementary School. Ixzel’s favorite book genres include comedy and nonfiction, but she also has a special interest in the “Harry Potter” series. She also likes to learn about different cultures and create funny stories about things that happen in her life. During school hours, Ixzel does not have a lot of time to read her favorite books in her classroom. My Home Library has allowed Ixzel to catch up on her reading at home and also add a new “Harry Potter” book to her collection. This is Omar Hernandez, a 5th grader at Gallegos Elementary. When he is not reading, he likes to play video games when he has free time. Currently, his favorite game is FIFA 17 because he likes soccer. His favorite team is Real Madrid. Omar is the youngest of six children. He loves having siblings, but it is hard for him to read at home. He prefers to read at school because it is quiet and he can focus on what he is reading. When he grows up, he wants to follow in his father’s footsteps and become an architect. Like many students at Gallegos, Omar does not have that many books at home. 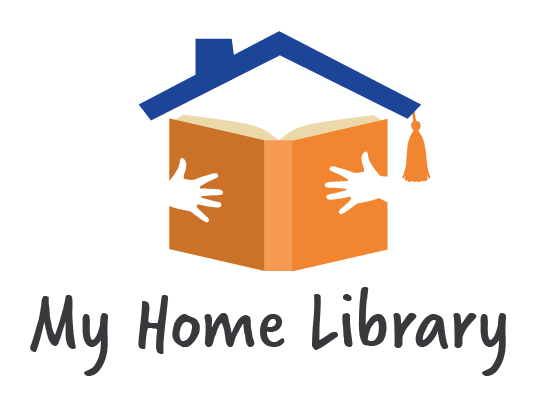 Before he participated in the My Home Library Build Event, he only had 4 books at home that were on his reading level. Some of the books he selected were The Lion, The Witch, and The Wardrobe; Goosebumps; Diary of a Wimpy Kid; and Captain Underpants. Omar can now add to his home library! Meet Iris, a fourth grader from Franklin Elementary. The My Home Library Build Event is something that Iris will remember for the rest of her life. “This is the best day of my life because I get free books that I want to read and I can create my own home library,” she said. The books Iris chose were Mr. Pants, It’s Go Time, two Diary of a Wimpy Kid books, one of the Captain Underpants, and Secret Life of Pets. She is a fast reader, so I am sure that she will have read these books in no time! Iris loves to read about dinosaurs and this inspired her to be a paleontologist when she grows up. Her favorite dinosaur is a Tyrannosaurus Rex because they are big and scary. When she is not in school, she loves to read to her little sister and watch PBS Kids. Iris’ dream is to one day have a house full of books so she can give books to other people. Meet Madison, a precocious 5th-grader at Kennedy Elementary School. Even though she is young, she has big aspirations for the future. When she grows up, she wants to be a professional hip hop dancer or a Supreme Court judge. She has been dancing since she was 5 years old, and her team came in 2nd place in her school’s talent show. She also wants to own a parrot when she is older and she wants to grow plum trees. Her favorite class is science, because she likes doing experiments and dissections. In her free time, Madison likes to play with her brother or her dog, Harley. Ironically, her favorite animal is a cat, but she cannot have one because her sister is allergic. She also likes to play basketball and collect rocks. Madison is an avid reader who usually has a book in her hand. She is currently reading How to Rock Braces by Meg Haston and she will read it whenever she has free time. She usually reads 2 chapter books per week and a longer book once a month. Her favorite book is Ivy and Bean and the Ghost that Had to Go by Annie Barrows and Sophie Blackall. She does not like scary movies, but she does like scary books, such as Bunnicula: A Rabbit-Tale of Mystery by Deborah and James Howe. This is Kevin, a charming fifth grader at Atherton Elementary located in Houston’s Fifth Ward. In addition to speaking English, Kevin also speaks Spanish and Garifuna, which is an Arawakan language spoken by about 200,000 people in Central America. Kevin has two younger siblings, and he loves being a big brother because he can help them with their homework. Something that a lot of people do not know about him is that he likes to sing. His favorite singer is Sam Cooke and he sung one of his songs for a black history month event last year. Kevin is a big basketball fan, citing Stephen Curry and Lebron James as his favorite players. When he grows up, he wants to be a veterinarian and he credits his fourth-grade teacher for inspiring his love of science. Kevin does not have that many books at home so he was very excited about participating in My Home Library because he can have books in his house that he wants. Out of the six books that he picked, Captain Underpants and Diary of a Wimpy Kid are the books that he was most excited about. Meet Zeidy, an adorable 5th grader at Gallegos Elementary. The three words she would use to describe herself would be funny, empathetic, and friendly. In her free time, she likes to play soccer and the position she plays is front. In the future, she would like to play professional soccer for the US Women’s National Team. She has a younger brother and her favorite color is purple. Out of the books that she has read, her favorite is Ghost by Raina Telgemeier. Some of the books that Zeidy chose from the Build Event were Diary of a Wimpy Kid and Dork Diaries. She can now add these books to her list of favorites! Meet Liliana, also known as “Lilie”, a fifth grader at Gallegos Elementary in Houston Independent School District. She loves Greek mythology and wants to visit Greece for her birthday. Reading the Percy Jackson and the Olympians series inspired her love of Greek mythology and her favorite go-to book is Percy Jackson’s Greek Gods. She also has read the entire Harry Potter series. Lillie prefers to read at home because that is when she has the most time, but she will read whenever she has the opportunity. When Lillie has free time and is not reading, she loves to do Rainbow Loom. Her favorite thing to make is bracelets and she likes to give them to her friends. Her favorite school subject is mathematics and she hates to miss school because she hates being behind in her coursework. One of the happiest memories of her life is when the Astros won the World Series. “My family was excited and we were all jumping up and down and screaming,” she said. When she grows up, she either wants to be an elementary teacher, an interior designer, or a baker. Lillie has a bright future ahead of her! This is Xavier, a fourth grader from Franklin Elementary, which is in Houston’s East End. He was very excited about the My Home Library Build Event, saying, “This is the best day of my life!” Xavier was excited because he loves to read books. He chose a bilingual book, two Diary of a Wimpy Kids, two Captain Underpants, and a Bad Kitty book. Out of the books that he selected, the Captain Underpants’ books were his favorite. Xavier loves to read at school, the library, and at his house. He reads every day and he prefers to read by himself. When he is not reading, Xavier loves to play sports and video games. His favorite video game is Minecraft. He wants to be an inventor when he grows up because he is a curious person and he likes to create new products. Meet Jada, a 5th grader from Atherton Elementary in Houston Independent School District. She was very excited to participate in My Home Library because she loves to read. Like many Houstonians, Jada was affected by Hurricane Harvey and all of her books were destroyed. My Home Library is giving her the chance to replace some of the books that she lost. Jada spends a lot of time in her school’s library since that is where she likes to read. Her favorite book series is Geronimo Stilton by Elisabetta Dami. When Jada is not reading, she loves to play with her dog and baby sister. She loves children and she aspires to be a pediatrician when she grows up. Meet Bre’Anna, a fifth grader from Atherton Elementary. She is an avid reader, stating “Every time I finish my work early or if I have free time in class, I will read”. She was so excited to participate in My Home Library, that she did not know which books to choose. Even though there were a lot of options, Dork Diaries stood out to her. She likes this book series because it shows her what are the potential obstacles of middle school. When Bre’Anna is not in school, she loves to play outside. On an average day, you will find her with a basketball in her hand or running around her neighborhood. You may also find her reading outside, especially when the weather is cooler. Her favorite color is peach and her favorite animal is a rabbit because they are easy to care for. Like many students at Atherton Elementary, Bre’Anna does not have that many books at home and rarely gets brand new books. Participating in My Home Library made her feel special because she could choose books that were made and bought for her.